Who Is My Neighbor? is a field-tested resource through which English speakers of any church and congregation can learn basic Spanish-speaking skills to be able to communicate and provide a welcoming atmosphere to the Hispanic communities surrounding them. The six-session resource developed by the Northern Illinois Conference covers basic conversational Spanish, and simple and easy to follow Spanish-language worship material. The program encourages openness toward Spanish-speaking neighbors, understanding of different cultures, and compassion for those who struggle to learn English. 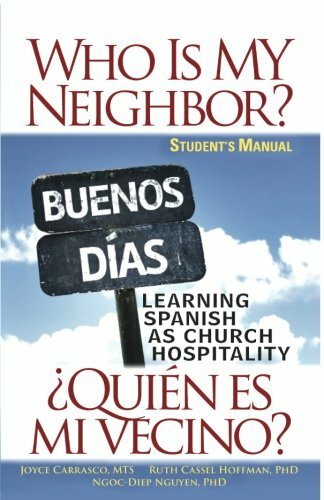 This resource is easily implemented by congregations of any size, and it results in a program of hospitality that will help include Hispanic communities in your church congregation. If you have any questions about this product by Abingdon Press, contact us by completing and submitting the form below. If you are looking for a specif part number, please include it with your message.